President Donald Trump wants to allow sales of gasoline with 15 percent ethanol, known as E15, year-round. 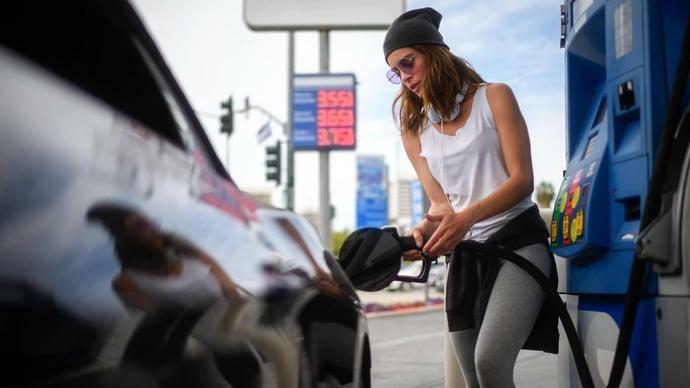 Current law prohibits the sale of E15 during the summer - gas in the summer must contain no more than 10 percent ethanol - because the higher ethanol gas can produce more smog in warmer weather. Farmers are lauding Trump's plan because it would increase the demand for corn, a welcome change since prices have dropped due to Trump's trade tariffs. An expected potential increase in ethanol demand from China has been stalled by China's retaliatory tariffs on U.S. goods. Click to find out which states are actually being hit hardest by Trump's tariffs. Sal Gilbertie, president and chief investment officer at Teucrium Trading LLC, said in an interview with MarketWatch that "a gallon of ethanol is about 70 cents cheaper than a gallon of gasoline, which means adding 5 percent more ethanol will reduce the price of a gallon of gasoline by about 3 ½ cents." If demand for ethanol increases, the price could go up, negating the price advantage altogether. Ethanol isn't the only factor in the changing price of gas from summer to winter. There is a higher demand for gas in the summer, but that's just one factor. Summer-blend fuel is more expensive to make because the process takes longer and yields less per barrel of oil. These costs can tack on an estimated 3 to 15 cents per gallon, according to NACS, a convenience store and fuel retail advocacy group. According to the Iowa Renewable Fuels Association, E10 represents 97 percent of the gasoline sold in the U.S. The association said that E15 is "an environmentally friendly fuel that burns cleaner than gasoline," and that raising the blend from E10 to E15 would "accelerate the use of renewable fuel, increase energy security, create U.S. jobs, reduce transportation costs, and improve the environment by displacing conventional gasoline with low-carbon ethanol." Click through to read more about the car stocks worth considering now thanks to Trump's NAFTA deal.